The UNLEASH conferences attract the world’s leading visionaries, entrepreneurs, disrupters, and doers shaping the future of work. We interviewed a few of those at our booth and asked about their predictions for performance management, trends in HR, and learnings from UNLEASH. George is a leading HR tech analyst, advisor in the HR space, and speaker. In this interview, he talks about the impact of generational change and AI on workplaces, why HR’s role is underrated, and he shares key findings from his Future of Work Report 2018. Jason is a high-profile HR consultant, analyst, and thought leader who helps companies knock down silos between HR and IT. Watch him talk about how the workforce experience is changing, what’s wrong with performance management, and HR’s transition from a question-answering mode to a problem-solving mode. Molly has developed a unique operating system (the Blinkist OS) and organization design used by a team of 100+ people. In this interview, she talks about distributing authority in self-organized teams, the challenge of teaching new hires the way you’re working, and the power of continual feedback. William is a diversity consultancy director and leader at the National Association of African Americans In HR. Here are his views on how technology can help break down cultural barriers, why diversity and inclusion in the workplace are so important, and why performance management needs to be continuous. Tony is a serial entrepreneur, people leader, and leadership instructor at Stanford Business School. In this interview, he talks about leadership behaviors as foundations for culture and how ServiceRocket has replaced traditional performance reviews with forward-looking check-ins using Small Improvements. Katee is a consultant and speaker who inspires cultures of inclusion where everyone can do their best work. Watch her talk about the potential of technology for diversity, the power of constant peer feedback, and why language is key to making performance management processes more fair and inclusive. Peter is an HR tech entrepreneur who helps teams create amazing new starter welcomes and co-author of the Australian HR Tech Report. In this interview, he predicts that performance management will become much more of a team activity and shares the secret of good employee onboarding. Robin is an HR leader, tech lover, speaker, writer, and “Humanizer of HR.” Watch her talk about automation and machine learning, taking a step back to the origins of HR, and breaking down the silos between talent aquisition, employee relations, learning and development, and operations. Don is an entrepreneur with an impressive 20 years of experience in the employee engagement space. In this interview, he explains why the world has never been a better place and how organizations can get ready for the technologies that will change the way we work. Jeremy helps non-profits and commercial clients become better places to work through HR technology. Watch him talk about the gamification of performance management, the future of performance ratings, and how companies find the right HR software for their needs. David is a leader in the People Analytics space, Speaker and Board advisor. In this interview, David speaks about his takeaways from the UNLEASH conference, where he sees Performance Management heading, how people analytics play into that as well as general trends in HR. Marc is passionate about building a global community on the Future of Work & Technology where people can be inspired, thrive, feel safe yet challenged, happy and help make the world a better place. In this interview, Marc speaks about the UNLEASH conferences, his vision of empowering people and where he sees the UNLEASH community going. With over a decade of experience in the field HR, Erika is passionate about building and growing companies that promote a people first culture. In this interview, Erika speaks about her role, her inspirations from UNLEASH, where she sees Performance Management heading and why transparency is important in feedback. Hung is passionate about making recruitment better for people and businesses. He co-founded the talent matching service Workshape.io and curates weekly Recruiting Brainfood. In this interview, Hung speaks about UNLEASH, hiring for a feedback-rich organization, where he sees Performance Management heading as well as trends, tips and predictions. Anna has worked with and for startups throughout her career in the past two decades. She’s an HR expert and community builder. In this interview, Anna speaks about trends in HR tech startups, where she sees Performance Management heading, what UNLEASH means to her and what she’d like to see more off in HR technology. Bill Boorman is a keynote speaker, software advisor, and the founder and host of #tru events. He consistently ranks as a top HR influencer and advises a range of organizations. In this interview, Bill speaks about Diversity&Inclusion, Performance Management, the UNLEASH conference and how software can support humans at work. 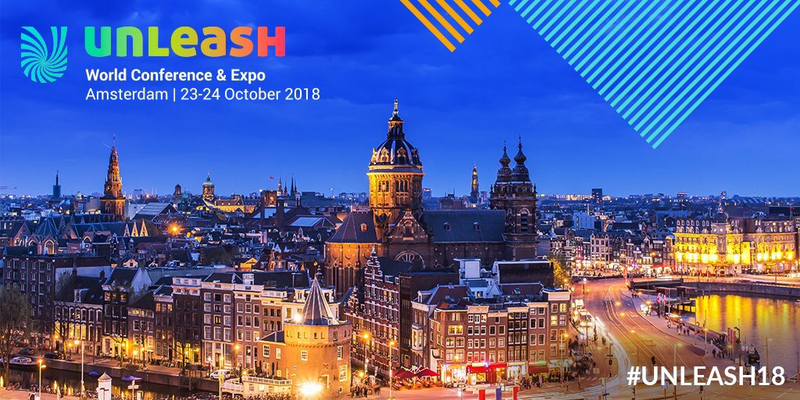 Are you going to be at UNLEASH Amsterdam, October 23rd-24th? Come find us at Booth 509 and say hi! Join our mailing list to get regular, curated resources on HR topics delivered into your inbox.